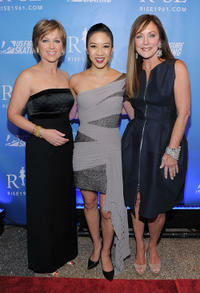 Figure skater Michelle Kwan and Peggy Fleming at the New York premiere of "Rise." Figure skater Dorothy Hamill and Peggy Fleming at the New York premiere of "Rise." 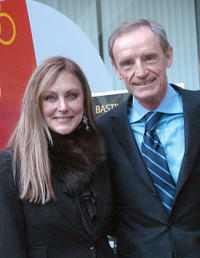 Greg Jenkins and Peggy Fleming at the New York premiere of "Rise." 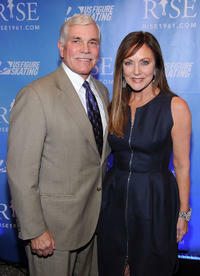 Peggy Fleming at the New York premiere of "Rise." Peggy Fleming, Jean-Claude Killy and Marielle Goitschel at the celebrations of the 40th anniversary of the Grenoble's Olympic games. Peggy Fleming and Jean-Claude Killy at the celebrations of the 40th anniversary of the Grenoble's Olympic games. 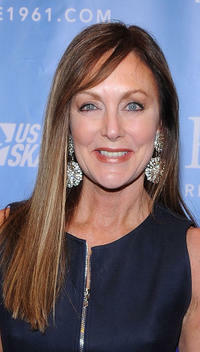 Peggy Fleming at the 3rd Annual Women in Wine at Borgata wine and food tasting event in New Jersey. Figure skater Dorothy Hamill, figure skater Michelle Kwan and Peggy Fleming at the New York premiere of "Rise." Ricki Lake and Peggy Fleming at the 3rd Annual Women in Wine at Borgata wine and food tasting event in New Jersey.